a museum waiting to be made? Text of a paper given by Klimis Mastoridis at the conference of the Association of European Printing Museums, Making history: collections, collectors and the cultural role of printing museums, Museum of Typography, Chania, (Crete, Greece), 11-14 May 2017. Before I start I would like to thank Alan Marshall, Yannis Garedakis and Elia Koumi for having invited me to speak at the conference and for offering an opportunity to meet old, good friends. 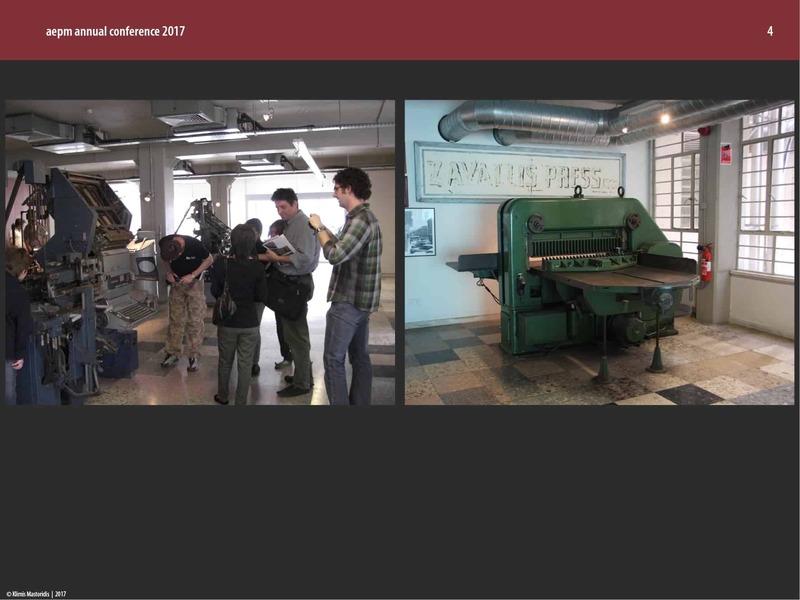 Allow me to express my sincere joy for being part of this two-day event of the Association of European Printing Museums organised in Chania, at the local (national) printing museum, an always lively and energetic space due to the hard work of its people! Although I was asked to talk about Greece, I decided to communicate to you some of my views and ideas about the place where I have been living and working for the last ten years. 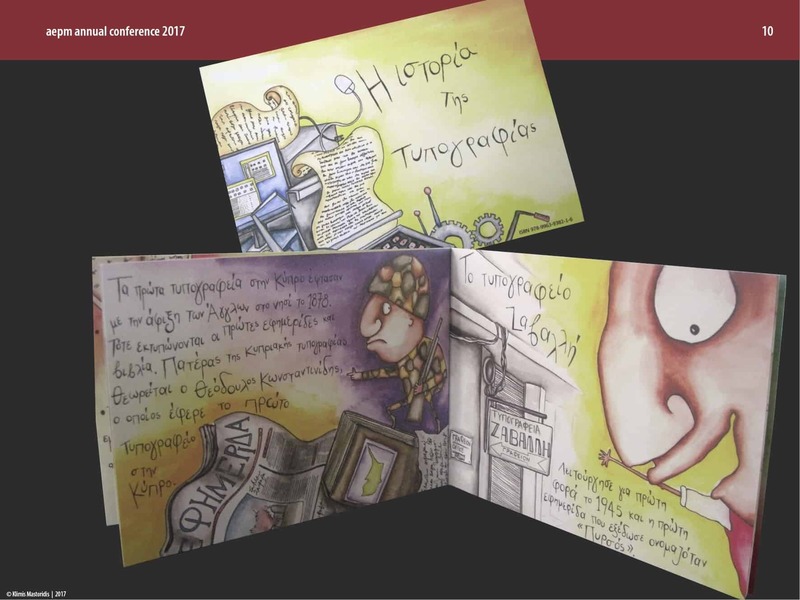 There are two reasons for doing so: first, a group of Greek colleagues, well informed but also well known experts are participating in the conference and will talk about Greek printing history, museums, and collections in Greece. 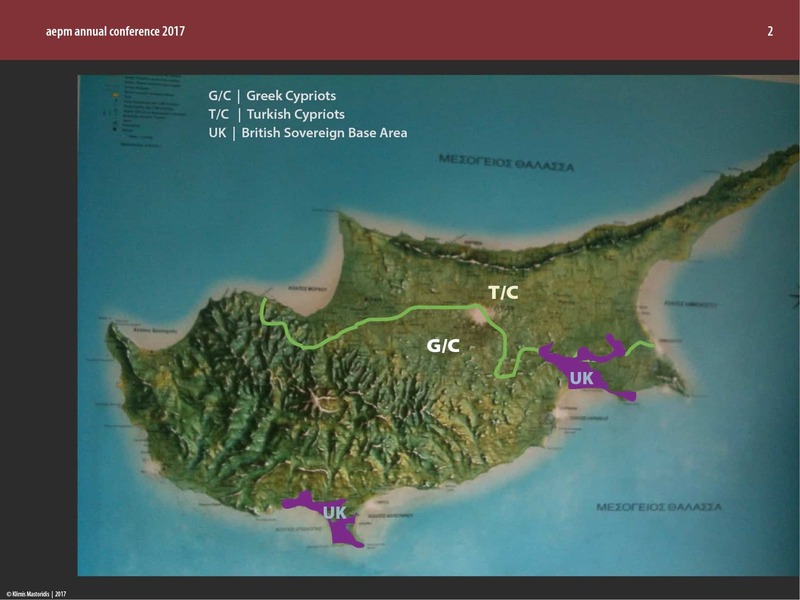 Second, Cyprus is a small island mostly known for its magnificent past and the role it has played in the history of the Eastern Mediterranean. With an undeciphered script from as early as 1500 BCE, an unknown indigenous language, and intriguing historical questions about writing systems that were developed to visually represent local dialects and the Greek language, Cyprus became over the centuries the centre of a long and rich multicultural tradition. 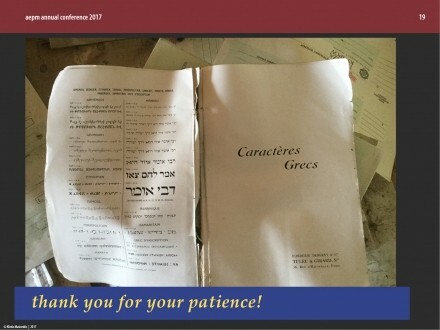 But what about modern Cyprus; are there any cultural signals, relevant to our field, that CY might be able to transmit? 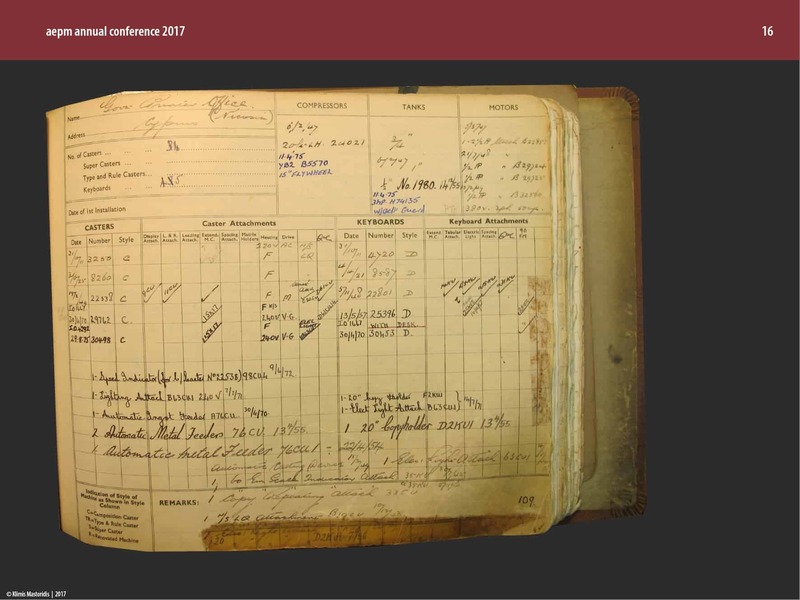 Initially, the title of the talk I proposed was slightly different than the one that appears on the programme; the current title was chosen at Alan’s suggestion, to which I didn’t object. 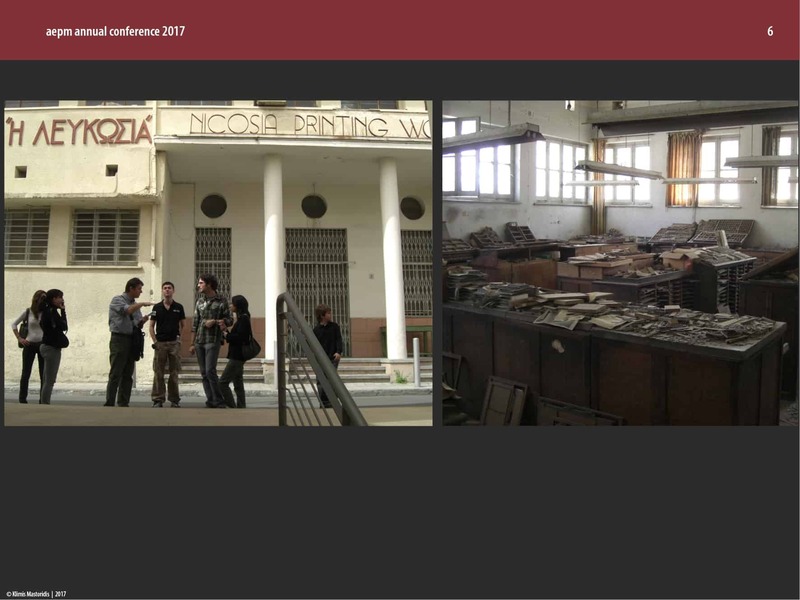 My provisional title was “Cyprus: making (printing) history”, and I had a second favourite: “Can Cyprus make (printing) history”? As Alan tends to relate everything to printing museums, he added the interrogative part: “a museum waiting to be made?”. I must confess that this was the exact idea behind my presentation but I wouldn’t dare to put it on the title; it sounds like a very ambitious plan for a small place – especially, for that specific place. 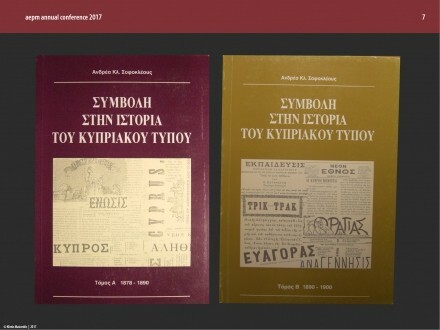 Professor Sophocleous’s research has spanned more than two decades and resulted in a ten-volume Contribution to the history of the Cypriot press that covers the period from 1878 to 2010. 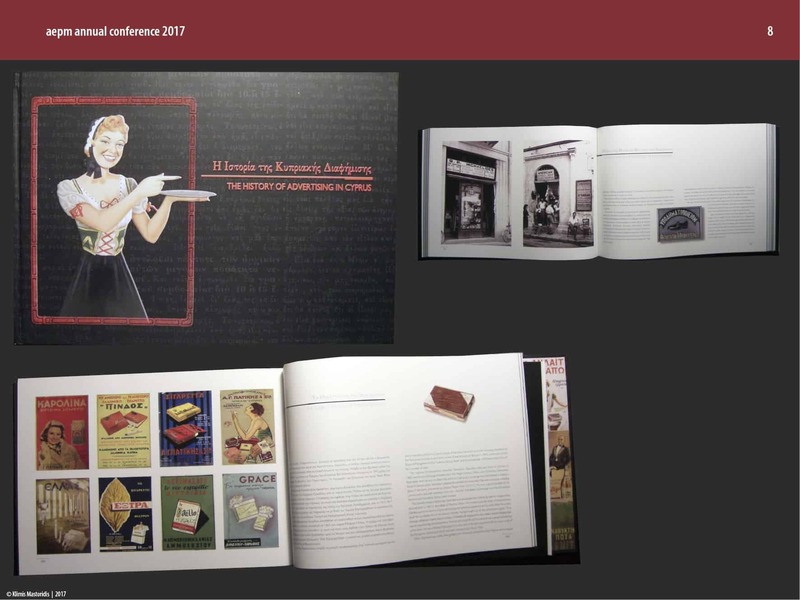 In addition, an impressive (content and production wise) bilingual (Greek and English) volume, with the title The history of advertising in Cyprus, came out in 2004. 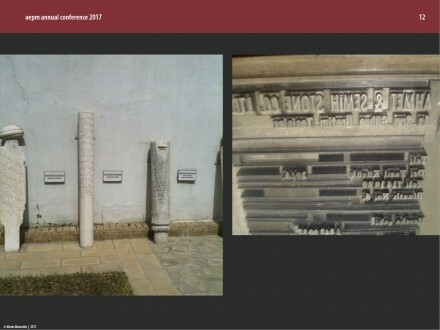 Attempts at printing in Cyprus are briefly discussed in both these works. 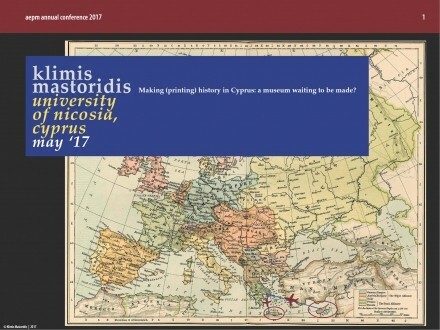 Sophocleous has a new book coming out soon; its title is An outline of the chronicle of Cypriot printing. 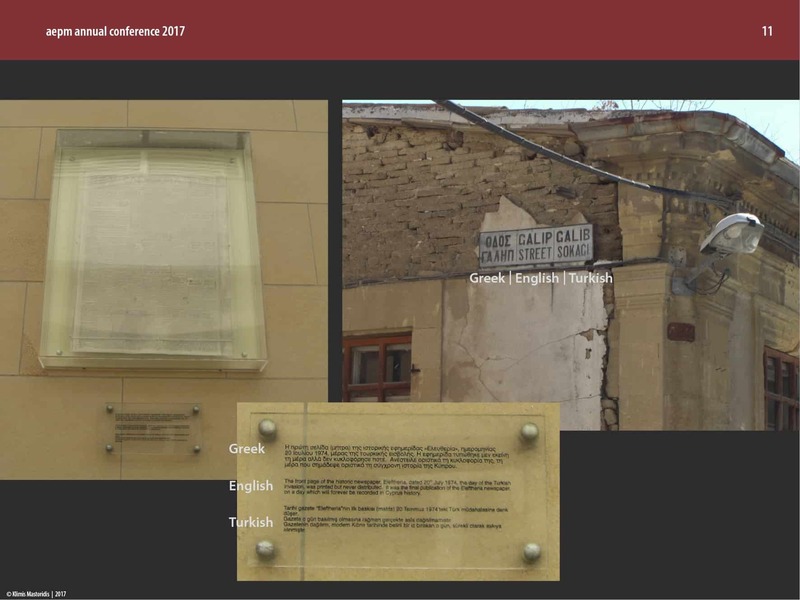 Again, it is based on his History of the press sources, on research carried out at the Cyprus Public Record Office (renamed State Archives in 1991), and on interviews with the heirs of the old printing businesses. 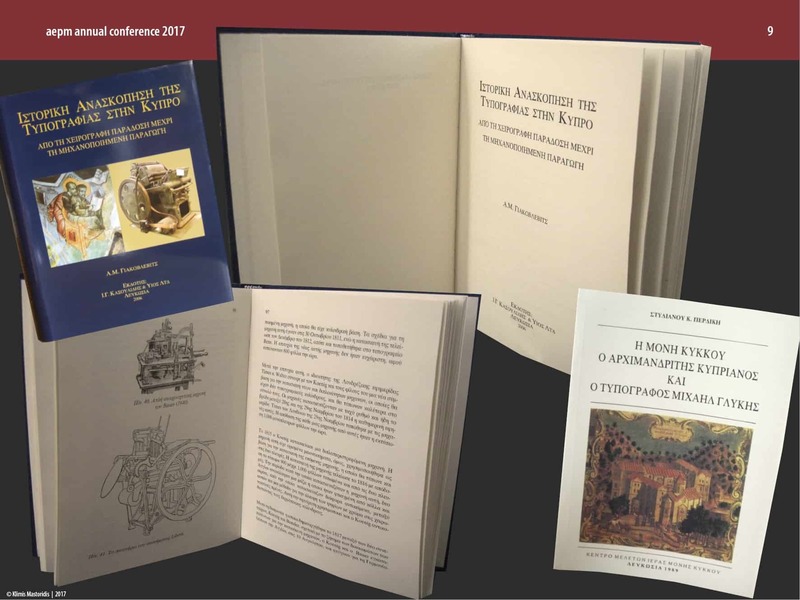 The only other work about printing history was compiled by Dr Andreas Jakovljevic, a Byzantine scholar and Director of the Byzantine section of the Research Centre of Kykkos Monastery based at Archangelos Monastery, Nicosia, Cyprus. As the author explained in his forward, the work was commissioned and printed by the firm I.G. Cassoulides and Son Ltd in 2006 in Nicosia. 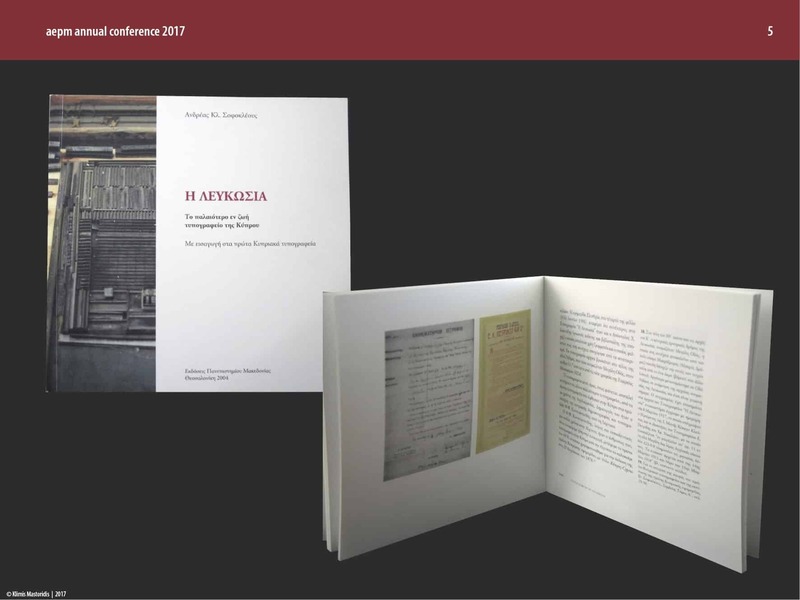 Cassoulides were also the publishers of the book, which the author dedicated to the founder of the printing company, Christakis Cassoulides (1925-2001). Most of the 300 pages of that book titled Historical review of printing in Cyprus. From the manuscript tradition to mechanical production are based on secondary sources and include general information and a large number of images about the invention of printing, paper, rotary presses etc, as well as information about the printing adventures of Greeks in the West (Venice) and the East (Constantinople and Smyrna). 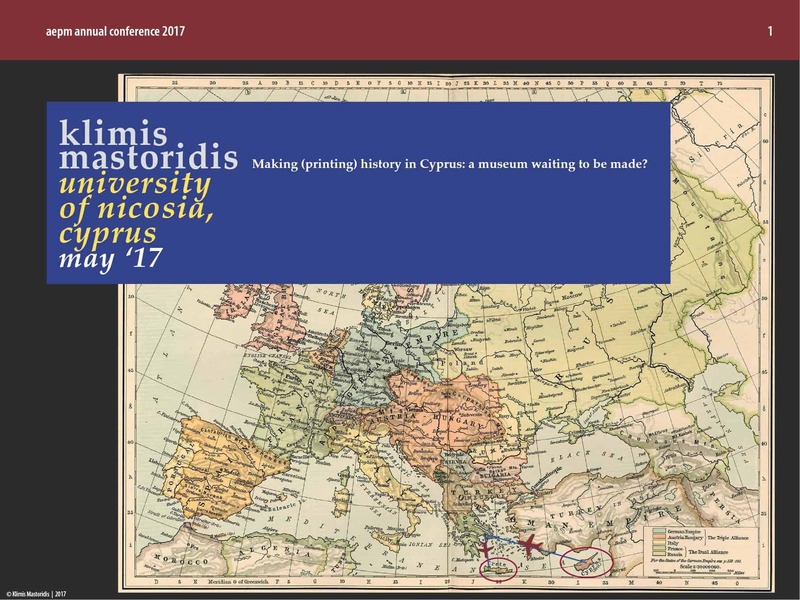 Jakovljevic devotes a 40-page chapter (which I think is the most interesting one), to Cypriot scribes and manuscript production and concludes with information about printing in Cyprus. This last part is entirely based – as he explains – on Sophocleous’s publications; he also thanks Andreas Sophocleous for ‘having allowed’ him ‘to extensively and unconditionally use his work’. 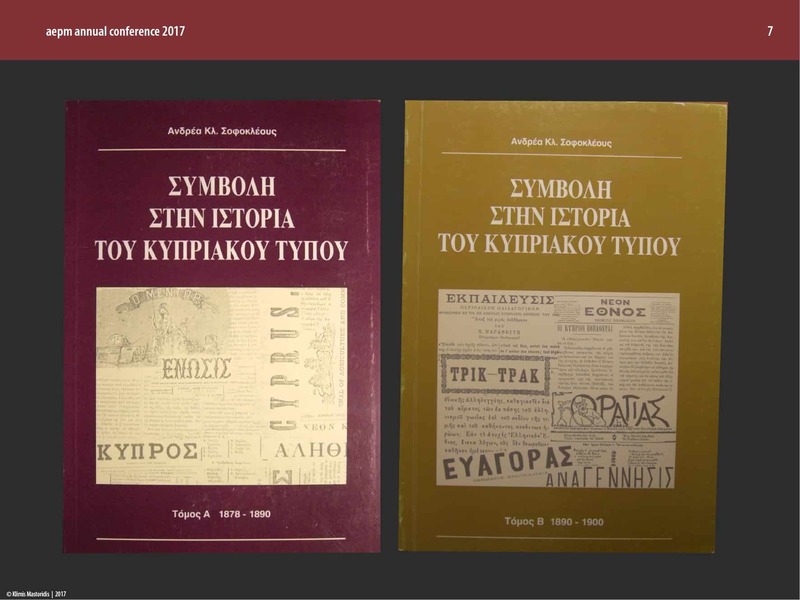 This is all that has been published (well, almost, as Ahmet An’s work has not been printed yet) in relation to printing in Cyprus. 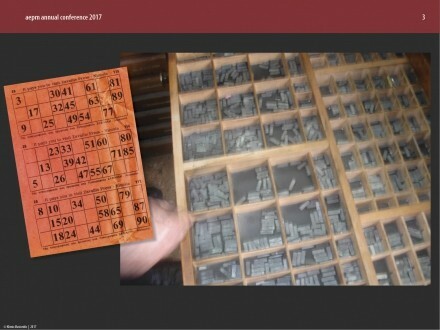 But even that very limited corpus of work is problematic due to lack of necessary special knowledge about printing technology, equipment and materials. An, in his correspondence, stated: ‘I am more interested in the history of those printing houses and [I am after information] about which books and newspapers they printed’, exactly as Sophocleous was, when he started working on his Cyprus press history in 1995. This brings me to the last part of what I have to present this evening to you, or rather to last before one. 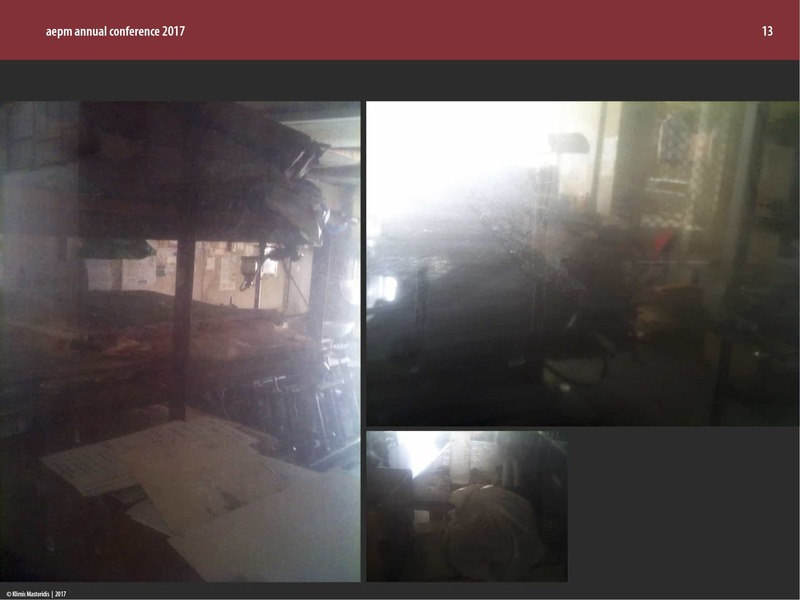 For the last part of my presentation is a seven-minute video; it is a compilation of images – only a tiny fraction of the data I have collected up to now. The aim is to clearly communicate that the necessary material for a museum of printing in Cyprus exists. 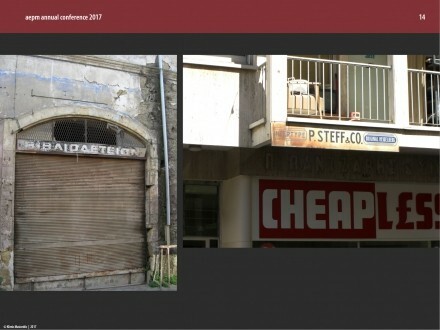 Sleeping artefacts scattered in Nicosia and in other cities, like Larnaca and Limassol for example, the other two printing centres of Cyprus, are waiting for a living museum to wake them up, exactly as the Chania Museum did here in Greece. So, yes, Alan was right! The long term plan is to create a space that could stage an operational, hands-on display; an open environment for visitors from different countries and of all ages; an educational facility but at the same time an entertainment hub where printing artefacts would engage participation through innovative approaches. Discussions with interested parties have started; one of the main aims is to bring together those who approach this project with the scale and the seriousness it deserves. Most of you know well that this is a huge task. I am not entirely against the ‘think big’ approach; in my view, however, long-term commitments need effective short-term, step by step planning. We now need to compile a substantial digital inventory of items found in old printing houses, public and private collections in both, the south and the north, through an identification and documentation process. To this end, we have to go on trying to secure funding that will enable us to move forward and maintain positive momentum. This is a prerequisite for the next stage. 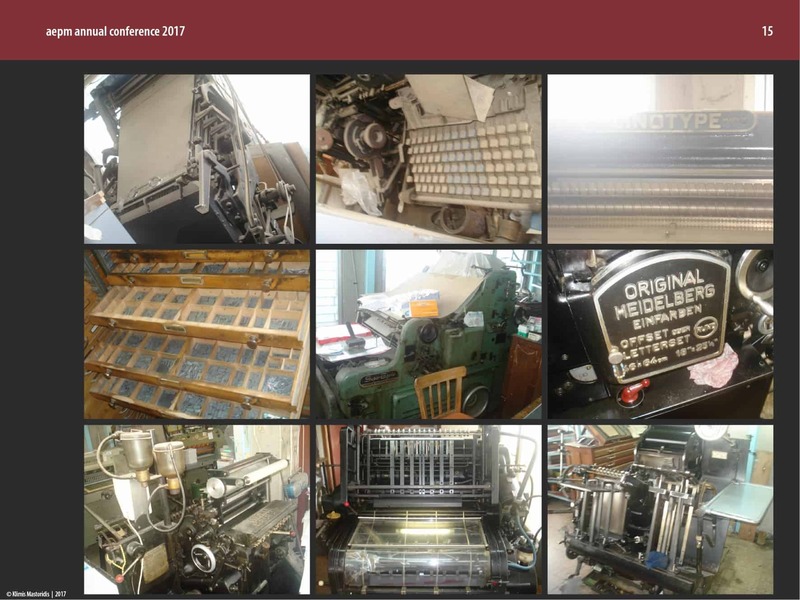 I really hope that we’ll be able to present that and discuss it with you – as well as further, ‘next stages’ at the 2018 AEPM conference! Special thanks to Chr. 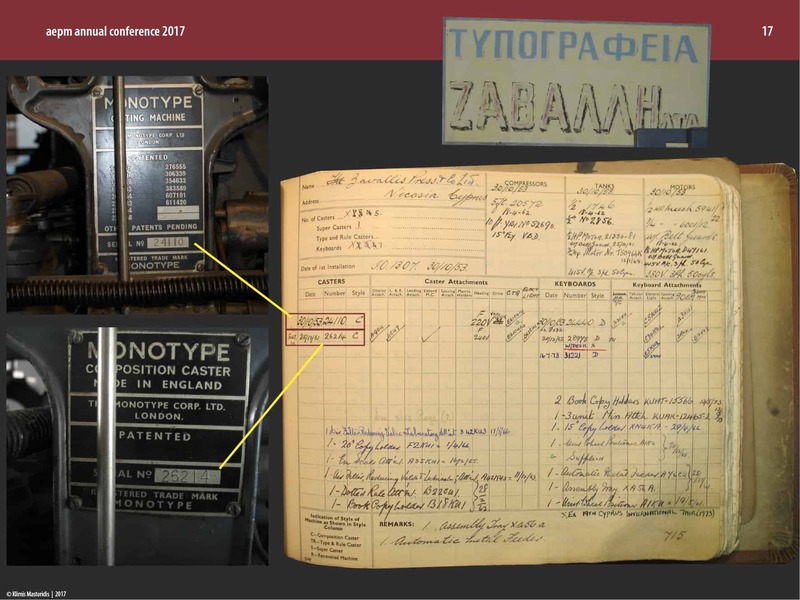 Nicolaou & Sons Ltd, H. Kiriakides, V. Kokkinou, N. Zavallis Flexo, G. Frangos, President of the Union of Cyprus Journalists, M. Moiseos and Politis newspaper, D. Avery and the Type Archive, London. Thanks are also due to Prof. Andreas Cl. Sophocleous, Dr Ahmet An, Stelios Irakleous, Dr Mary Dyson and Dr Niki Sioki.